So then, why isn't this happening on a mass scale? Astonishingly, the exact opposite is true on the ground. Rather than uplifting and empowering girls and women as the most powerful force for transformation and progress, horrific violence is perpetrated against them...every minute, every hour, every day. Every minute, 2 girls and women are raped in South Africa. Every hour, 48 girls and women are raped as a weapon of war in Congo. Every day, 3 women are killed by their male partner in the United States. In fact, more than 100 million girl babies have been killed, aborted, and neglected to die...simply because they were girls. Girls are truly the dying breed. So how do we empower girls and women? And what exactly is women's empowerment? Surprisingly, there is no common definition of women's empowerment. In fact, the word "empowerment" does not exist in most languages. Although the phrase "women's empowerment" is used pervasively in the Gender Equality & Women's Empowerment space (and beyond), it is generally in the context of issues -- economic empowerment, political participation, and girls' education. Furthermore most of the data that have been collected is on gender equality -- or more accurately inequality -- counting the number of boys vs. girls, men vs. women. There is dearth of information on women's empowerment, particularly at the global level. Empowerment is a process. Through the process, an individual becomes an agent of change. More simply put, it's the "can do" factor, going from "I can't" to "I can." So, are girls and women empowered? 4GGL - For Girls GLocal Leadership - simply asked them. 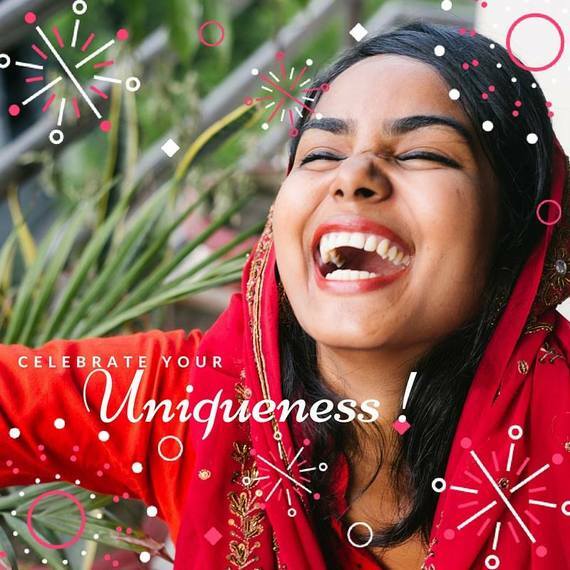 As a non-profit and a social change movement with the mission of igniting the next generation of empowered women leaders and changemakers around the world, 4GGL launched the first-ever global survey on women's empowerment, targeting today's millennial women. •	More than ever before, today's young women have more choices and control in their lives. They had the most choices in education, the least in career choices. •	What do young women want to change the most in their lives? Their career and income, followed by personal development (physical, mental and habitual). •	Who contributes the most to creating this change? More than 60% identified themselves. Family and government were distant second and third (18%, 15% respectively.) Friends were the least contributing factor. Now the critical question: For those young women who became agents of change - empowered - how did this happen? A staggering 46% replied "self-awareness," a process of "knowing who they are." This was followed by experience. Education was a distant third. This is revolutionary. Given that girls' education is the main focus and what is funded in today's girls' empowerment work, it is time to rethink our strategy and action around the world. This is not to say girls' education isn't important or shouldn't be funded. It is to boldly challenge conventional assumptions on what empowers girls and young women. It is also to invite partners in more data collection and to scale this endeavor. Foremost, it is a call to action to support girls and young women in self-actualizing their inner power - empower - to truly leapfrog women's empowerment. The next generation of empowered women leaders and changemakers will transform our world. What is indisputable, reinforced by the 4GGL's global survey, Voice & Choice: What (Young) Women Want, is that violence against girls and women is the single most important issue to millennial women. It is the greatest moral tragedy of our time and we must take action now to end it. What is extraordinary is that today's young women are not waiting on us. From Neda in Iran to millennial women in Tahrir Square and the 2016 US Presidential Election, young women are advocating for and leading the change. Laurel Thatcher Ulrich stated, "Well-behaved women seldom make history." It's Women's History Month, a perfect time to realize and support today's empowered young women who are doing more than making his-story. They are creating her-story. They are rewriting their destinies.